It’s happening far more frequently. Keith Edgerton will be out in public and spot someone wearing an Olympia Lacrosse Club t-shirt. 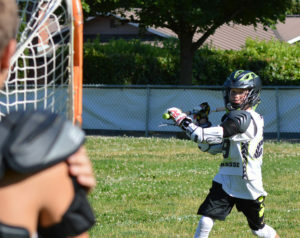 Apparently, word’s out on lacrosse in Thurston County. The nation’s fastest growing youth sport, lacrosse has established quite the following locally over the last few years and the Olympia Lacrosse Club has certainly played a large role in that. The club was inaugurated three years ago with 22 players. 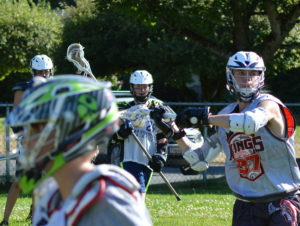 They ended this past season with a combined 122 players, and according to coach Winston McKenna, they anticipate surpassing 150 players this upcoming season, which begins in February and runs through May. The club currently offers boys’ teams from third grade through high school, and a high school girls’ team. They plan to add more girls’ squads this upcoming season. 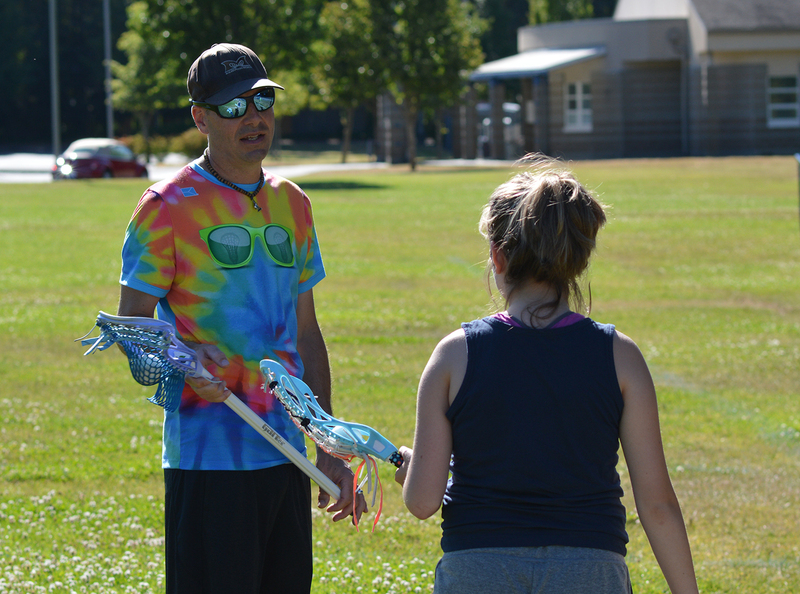 “Our hope next year is to have third through eighth grade girls’ lacrosse,” said McKenna, who coaches the boy’s seventh- and eighth-grade team. 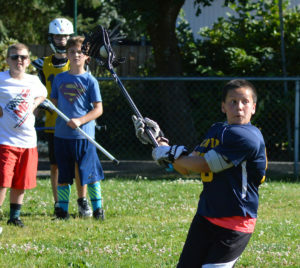 OLC has hosted four lacrosse skill sessions in July, providing returning players a chance to continue to develop, while introducing the sport to newer players. The club will hold one more summer skill session on Wednesday, August 2 from 5:00 – 7:00 p.m. at the Olympia Regional Learning Academy. The session is $5 to cover field rental costs. The Olympia Lacrosse Club also offers private lessons up to five players per session. 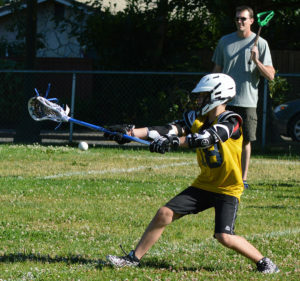 These charged lessons can be position specific or basic skill focused for newer players. The club will also offer a variety of free clinics in the fall and late winter prior to the start of the new season. Once someone is introduced to the sport, however, Edgerton and McKenna are both finding the individual tends to stay involved as the OLC has experienced minimal turnover since its inception. One recent aspect, Edgerton stated, that shows the anticipated continued widespread growth of lacrosse in the area is the fact that when Capital High School installed its new field turf it included lacrosse lines. Edgerton also added that next summer when Olympia High School installs field turf on the North Street field it will include lacrosse lines as well. To learn more about Olympia Lacrosse Club, visit them online.